Hitting the tarmac and heading out on a road cycling adventure can be a truly magical time. With the likes of Bradley Wiggins, Chris Froome and Geraint Thomas hitting the headlines, there perhaps has never been a more inspiring time to grab your helmet and take to the roads! Before you set off, there are numerous things that you might need to remember to make your cycling experience as safe and fun as possible! 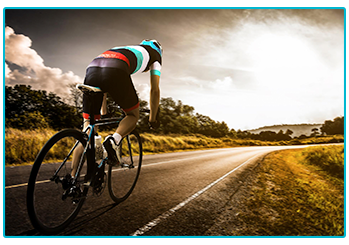 Here at The Insurance Emporium, we want you to enjoy your time in the saddle, that’s why we’ve put together these ‘do’s and don’ts’ of road cycling! This might go without saying but wearing a helmet really could be a matter of life and death! 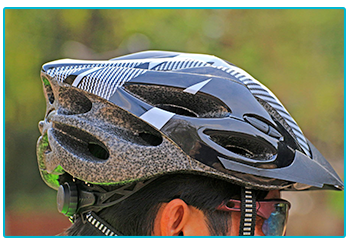 Ensuring that you start every ride with a helmet could be the best decision you ever make! It might be easy to get upset if a driver doesn’t show you the courtesy that you feel you deserve. Getting angry and trying to ‘fight fire with fire’ could be a bad decision and cause more problems! Just take it easy! Cycling clubs have always been around but in recent years there has been a rise in membership numbers thanks to the success of British riders in world cycling and the Olympic Games! Clubs could help you map out routes, enter competitions and meet fellow cyclists! Cyclists often cover a lot of ground when they’re out on the roads and being unprepared could land you in trouble a long way from home! Having your phone, warm clothing and a puncture kit with you could be a great idea! Making sure that you clean and oil your chain regularly, as well as keeping your tyre pressures at recommended levels could help to prevent anything going awry on the road. Cleaning your bike frequently could also help avoid a lot of issues! Any type of exercise requires you to keep hydrated in order to maximise performance and keep your body in good condition. There might be nothing worse than being hit by cramp when you’re miles from home! Do… Tell someone where you’re going! This is particularly important if you’re going on a solo ride, make sure that you tell someone exactly where you plan to go! If anything does happen and people start to worry, it’ll give them an idea when trying to find you! Don’t… Spend all your money! We’ve all seen those people with ‘all the gear and no idea’. This can be tempting when you’re starting out in cycling but isn’t necessarily the best way to enjoy yourself in the saddle! Focusing more on finding the right gear for you could be more important! 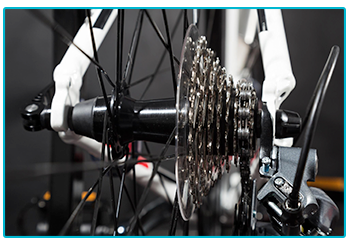 Visiting a bike shop to get your bicycle correctly set up could be a great move. They can advise you on the right size bike and adjust your saddle and handlebars. This way you’ll be optimal position to hit the road! If you’re flying down the road with the wind in your face, it might be easy to lose yourself in the moment. Always remembering that you are sharing the road with other cyclists and vehicles, it should help ensure that you’re always having fun while also keeping safe! Road cycling can be a fantastic way to spend your time, get social and keep fit all at once! It can also be a dangerous hobby, so following a few of these tips could be important when you’re looking to stay safe on your adventures! It might also be worth purchasing some Cycle Insurance to help protect you and your gear out on the road! At The Insurance Emporium, our Cycle Insurance policies include a 15% Introductory Discount* and include cover for Theft, Accidental Loss Or Damage up to 100% of Sum Insured/Market Value, whichever is less, as a Standard Benefit! Hit the road and head to The Insurance Emporium to find out more! *The 15% Introductory Discount is available for the first 12 premium payments on lunar and calendar monthly policies or one premium payment on annual policies.